Do you know how to tell if capacitor is bad on the AC unit of your home or business? Do you know how dangerous testing capacitors without proper training can be? 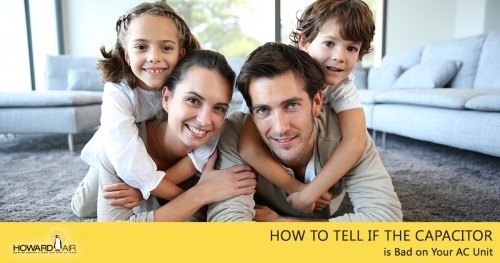 At Howard Air we consider educating our customers an important part of our business and we take air conditioner repair seriously. The first thing to do if you suspect you have an issue with your A/C is to test the capacitor to see if it’s bad. Continue reading to learn how to tell if a capacitor is bad. Imagine a very large battery that can give up all its stored energy in a single pulse. That is a capacitor. The central air conditioner in your house has a capacitor to get the compressor and fan motor started. What Does a Capacitor Look Like? Turn off the circuit breaker to your air conditioning unit. Remove the cabinet panel on the outside unit. Inside your AC’s outside unit, under the cabinet, you will find a tall cylinder or oval of shiny metal. It will have wire connectors leading to it. Avoid touching the wires or capacitor. Even with the power off, it still has that stored energy. Without the added power of a working capacitor, the outside unit cannot operate effectively. The fan may not spin; the compressor may not move. This causes “hard starting” during which the compressor shudders and balks at starting, or shuts off quickly. A humming motor that does not really start is another symptom of a bad capacitor, and such a condition can lead to motor burnout. So, what is a typical sign that a capacitor is bad or has failed? There are some bad AC capacitor symptoms to look for. Observe the condition of the outer shiny metal container that protects the inner workings of the capacitor. If it bulges at the top, the capacitor is defective. If the container is cracked or leaking, it is bad. Trained HVAC professionals may observe smoke coming from the capacitor, smell a burning odor or actually see fluid ooze out around the base of the capacitor. If you know how to use a multimeter, with the power to the cooling system off you can apply leads to drain the stored energy. Touch one lead to the ground wire and, in turn, touch all other wires with the other lead. This will dissipate the capacitor’s electrical charge. You can then check capacitance across the two or three terminals on the capacitor. Capacitors have the ability to do serious harm. The safest way to check an AC unit’s capacitor is not with a multimeter, but with a mouse click or phone call to Howard Air. If you believe your HVAC’s capacitor is bad, contact the professionals of Howard Air and we can have your Phoenix unit back in prime shape quickly. We can diagnose and replace capacitors, compressors, belts, motors and more. 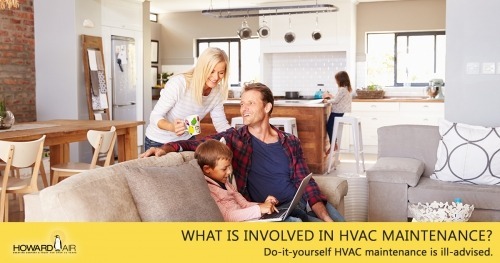 What is Involved in HVAC Preventative Maintenance? 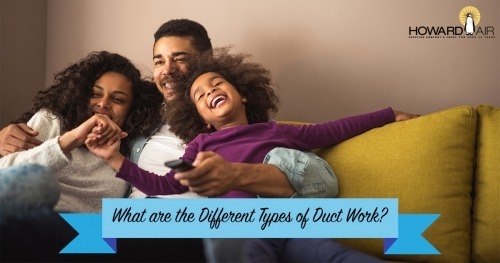 What are the Different Types of Ductwork?